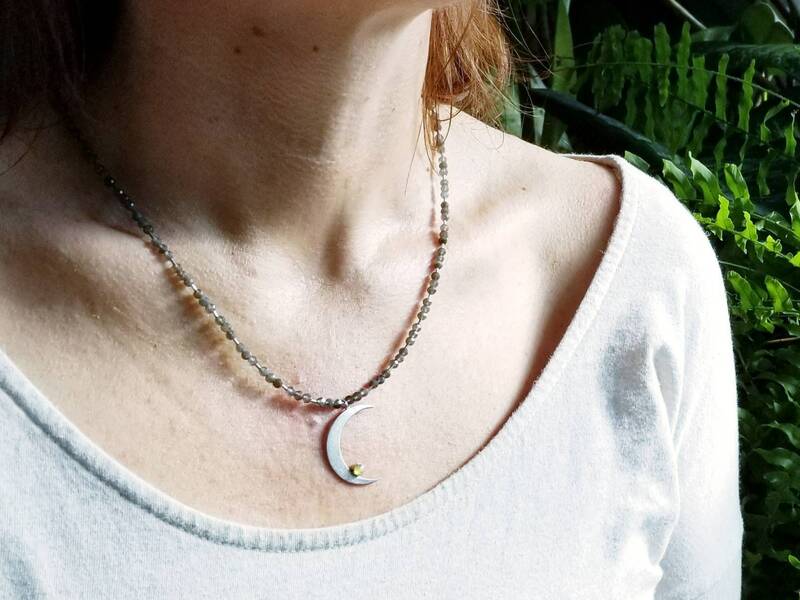 I cut the crescent moon shape out by hand and engraved it with a delicate sinuous line pattern. 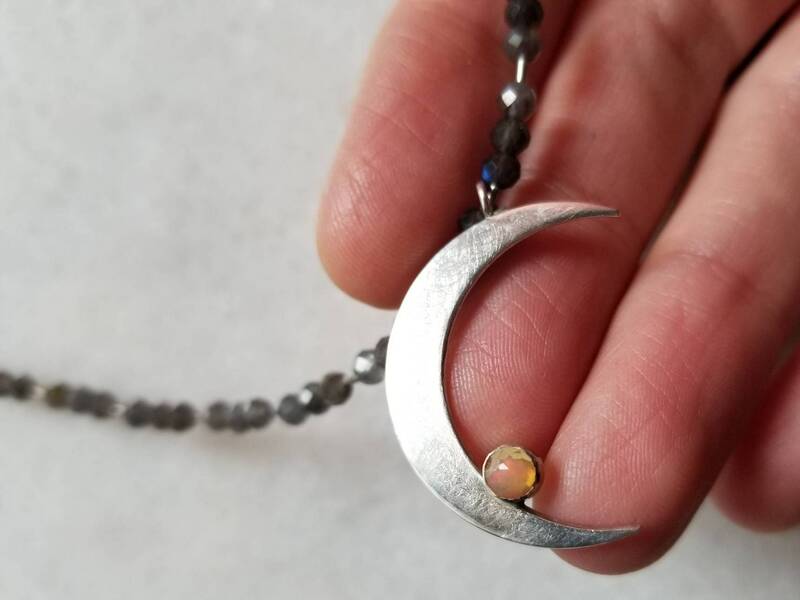 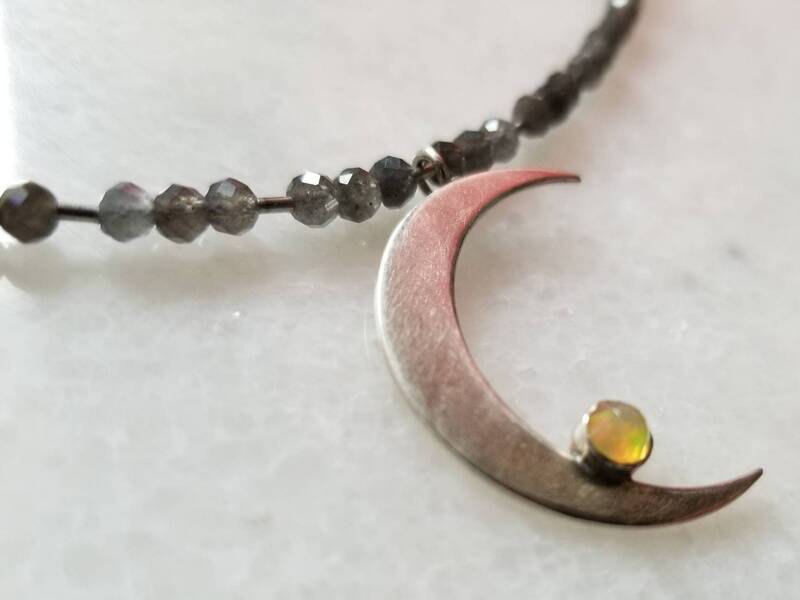 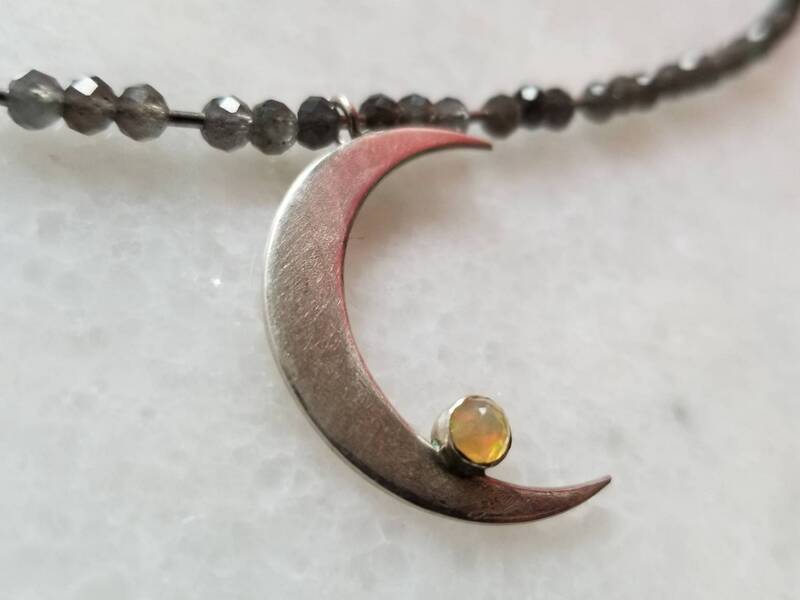 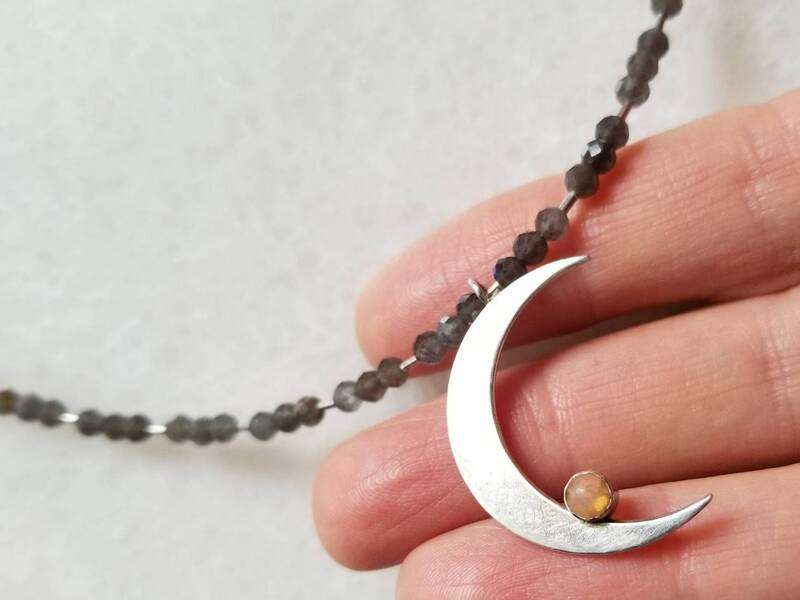 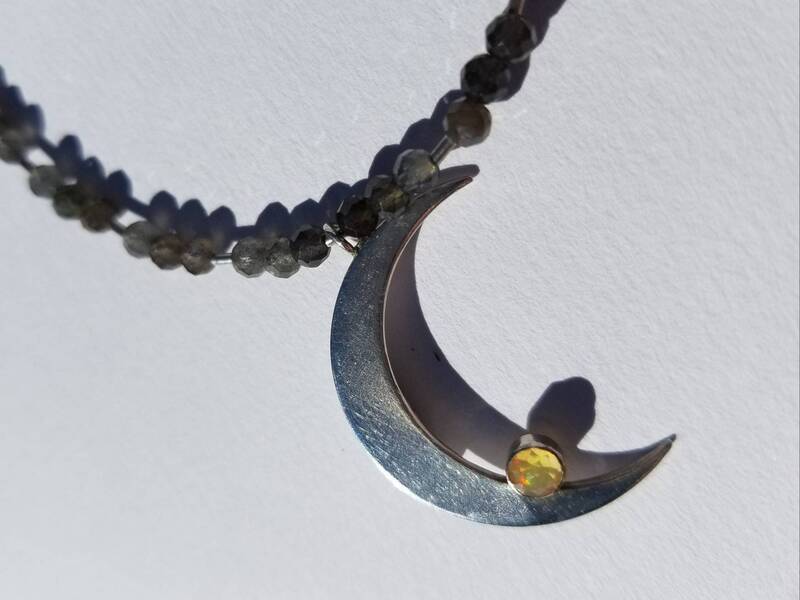 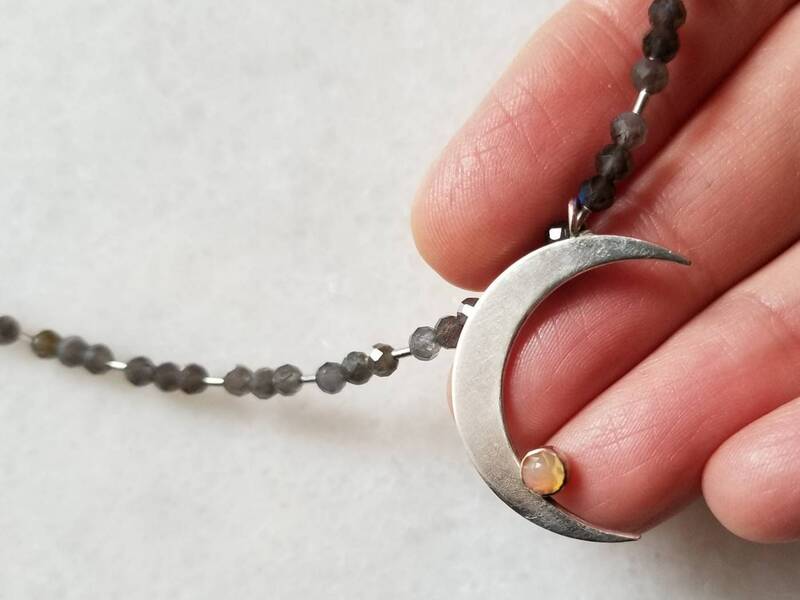 I paired the 1 inch tall moon with a 4mm rose cut Ethiopian opal with flashes of pink and blue. 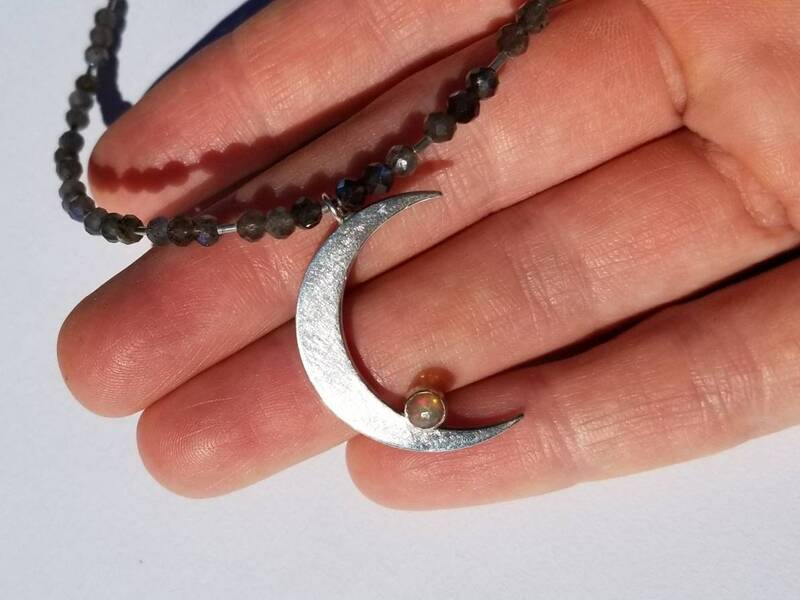 For the necklace, I used tiny faceted labradorite beads with flashes of blue. 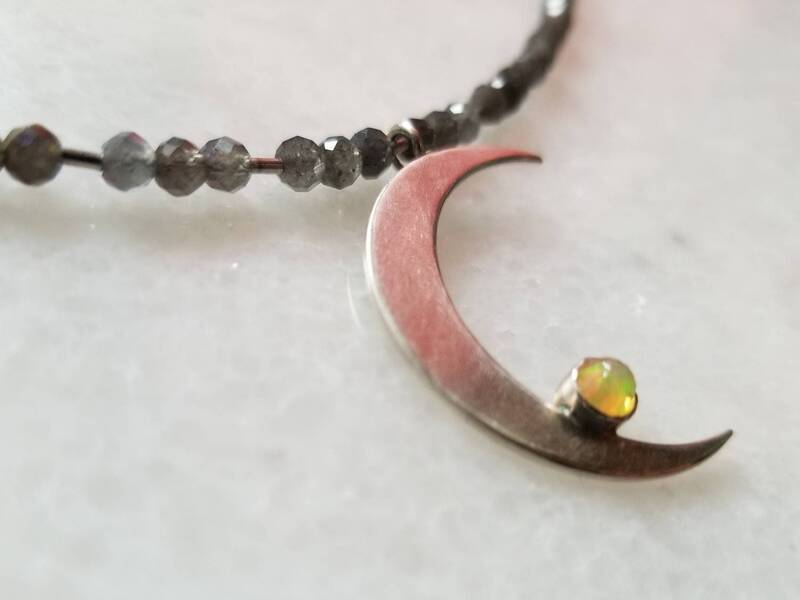 I also created the hook closure out of sterling silver. 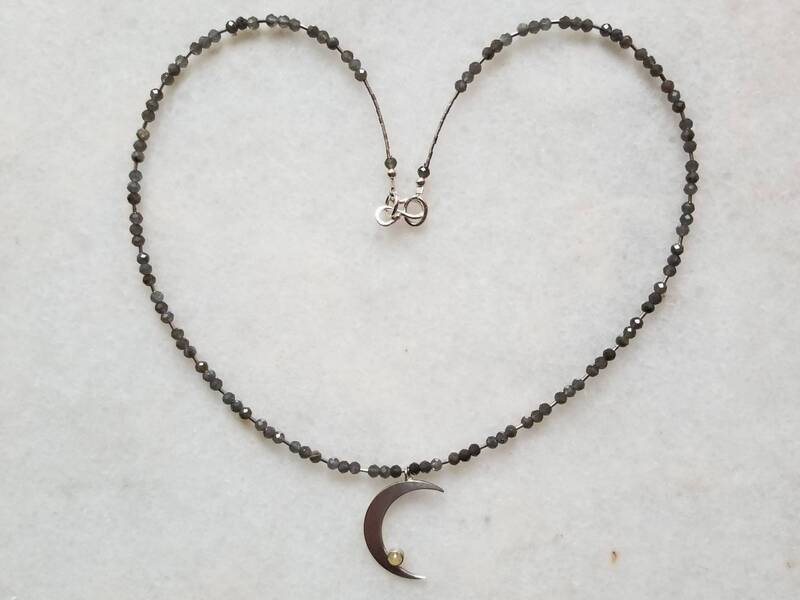 The necklace is 20 inches long and one of a kind.